Heather M. Meglino is the founder at Meglino Law. Her practice focuses on business owners and employers in various business and employment law matters. This includes making sure businesses are protected and in compliance with business and employment laws. Ms. Meglino also litigates cases including employment discrimination, sexual harassment, retaliation, overtime and unpaid wages, FMLA leave and disability issues, employment contracts, whistleblower and other employment law claims under various state and federal laws. She also serves as in-house counsel for multiple companies. 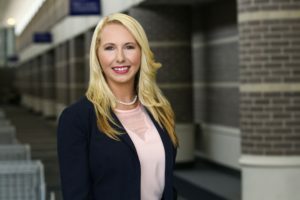 Ms. Meglino earned her Juris Doctorate degree from the Barry University School of Law, where she was actively involved as Vice Justice of the Moot Court Honors Board and received the award for Most Valuable Advocate, as well as Runner-up in a National First Amendment Competition. She also received one of two awards given to Barry Law graduates, the ALI-ABA Scholarship and Leadership Award. Ms. Meglino received her Bachelor of Science in Business Administration from the University of South Florida, where she was a scholarship recipient and co-founder of the USF Bowling Team. She was a member of the National Order of Omega Honor Society, Rho Lambda Honor Society, and the Pre-Law Society. She served as Vice-President of the Panhellenic Council, Chi Omega Sorority Chapter Secretary and Housing Manager, Campus Resident Assistant, Greek Week Executive Director of Programming, USF Homecoming Court Member, and USF Women’s Bowling Team Captain. Currently, Ms. Meglino serves on the Central Florida Association for Women Lawyers Board, OCBA Young Lawyers Board, and the USF Alumni Association, Orlando Chapter Board. She also volunteers as a Wish Granter for the Make-A-Wish Foundation.